Lucinda Robsinson is a former Deputy Sargeant who spent over 23 years with the Marion County Sheriff's Department. 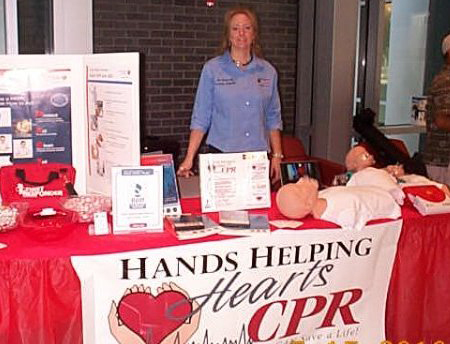 After leaving the law enforcement, she began using the skills and experience she obtained as an emergency responder to prepare others to save lives with CPR, AED, and First Aid. Along with her work at Hands Helping Hearts CPR, she currently teaches high school criminal justice and both high school and adult EMT courses at Blue River Career Programs in Shelbyville, Indiana. Lucinda and the rest of the staff at Hands Helping Hearts CPR look forward to working with you.